Palate: Woody, smoky, vanilla, smoked oak chips, white fruits, spices, including cinammon and nutmeg. A deliciously long and satisfying finish. The Pierre Morin XO Elegance is the epitome of quality and value for money. 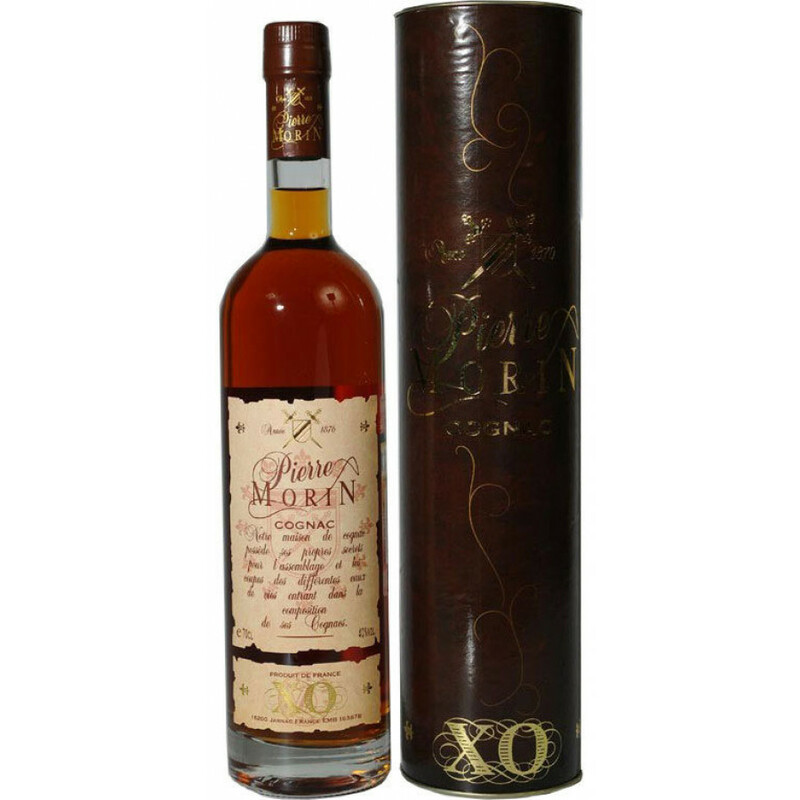 This delightful XO has been created (as are all Cognacs in the Pierre Morin range), totally inhouse. This means that the complete journey - from the vine to the bottle (and ultimately, to your glass) has been carried out solely by the producers. It truly is an artisan Cognac. The perfect digestif, it pairs well with good coffee, and - for the smokers out there - is a great complement to a decent cigar. The whole experience of this Cognac takes the taster on a sensory journey. From the deliciously deep color (only seen in a well aged Cognac), through to the tantalizing aromas, the evolving tastes on the palate, and the satisfying finish, it's a drink that certainly shouldn't be rushed. In addition, it's nicely presented, with a characterful label and in it's own presentation tube. This makes it an ideal choice as a gift for anyone who enjoys fine liquor. Pierre Morin Cognac comes under the umbrella of the Croizet Cognac house, although it is a separate brand in its own right. The history of the house can be traced back over two centuries, and one of the characteristics is the strong feminine influence that's been key throughout this time. This has led to a truly individual touch to all of the Cognacs produced - one that appeals to both male and female Cognac drinkers throughout the world.